Where do the Alaska Aces go from here? The PBA’s 40th season is officially over and we’ve seen some great basketball this year – from the debut seasons of Blackwater and KIA, the dethroning of the Star Hotshots, the rise of San Miguel in the Philippine Cup, the epic series between Talk ‘N Text and Rain or Shine in the Commissioner’s Cup, and the San Miguel Beermen winning it all again in the recent Governor’s Cup. If you’re a Star Hotshots fan (before the Tim Cone coaching change! ), you sort of had a feeling that another championship would be hard to come by after the Grand Slam season. If you’re a Talk ‘N Text fan, you have to be pretty happy with the way your Texters played and how Jayson Castro became the certified leader of the team after Jimmy Alapag’s departure. If you’re a San Miguel fan, you’re probably still on cloud nine right now. For Rain or Shine fans, you were close, but you still managed to come out ahead, winning a ton of games over the three conferences. But what about the Alaska Aces? Both are undeniably true and this is why the Aces are in a predicament. Their team is very much a contender – going to the Finals not just once, but twice to face the San Miguel Beermen. But how close is close enough? How can they lose to the same squad in two conferences? If you’re part of the Alaska Aces management, you’re afraid to tamper via player trades and ought to be careful with player acquisitions in the draft because the team obviously has chemistry and you don’t want to mess with that. At the same time, you know you have to do something in order to get over the hump and eventually win a title. Moreover, you have to think of ways how to beat June Mar Fajardo and the Beermen. All is not lost for the Aces. In one season, with Coach Alex Compton at the helm, they’ve developed a system, a battle cry, and more importantly an identity they can call their own. So if you’re an Alaska fan, you actually have a lot going for you moving forward. We know that the Aces are a strong team every conference and every season. They have great players, future hall of famers, and are backed by a history of greatness. What Compton did to the team wasn’t actually anything revolutionary or ground-breaking, but what he did was to give the team a sense of who they are as a basketball team. They’ve fully embraced their defense-first mentality approach to the game. They don’t want to simply outscore you, they want to make you work for every basket. They don’t want to outrun you, they want you to stop you running. This is Alaska Aces basketball. These stats can are an indication of how the season went defensively for each of these teams. 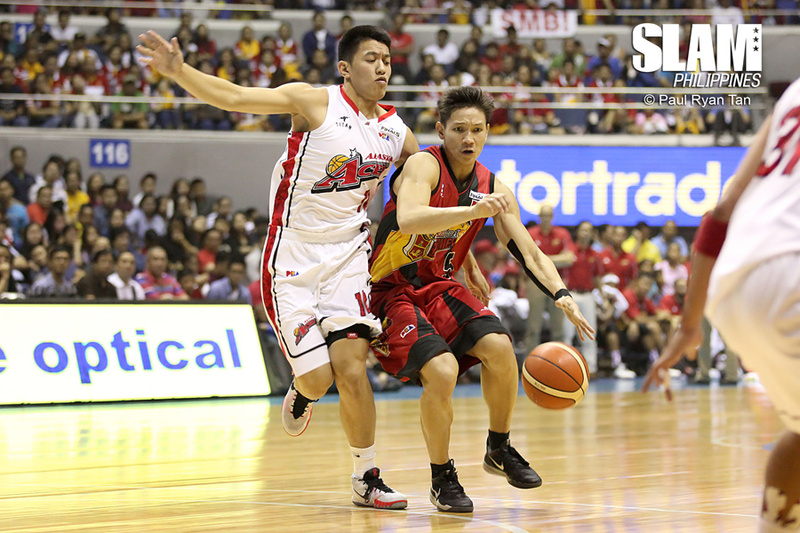 San Miguel, the champions, played pretty impressive defense for the conference. Their offense was highly and rightfully praised, but their defense was somewhat underrated. Arizona Reid may have played lights out, but playing SMB team defense on Romeo Travis, Cyrus Baguio, and Sonny Thoss was equally impressive. The Star Hotshots, a team that was led by Tim Cone and has a reputation for their championship-caliber defense, didn’t have the best overall defense in the conference but they were pretty good too. Also for comparison purposes, I’ve placed Ginebra and GlobalPort. The two teams aren’t contenders like Alaska or SMB, and one of the reasons they’re just good teams and not great ones is because of their defense. A team like the Batang Pier may have a Terrence Romeo who can score at any given moment, but they don’t have what it takes to make the necessary defensive stops to win consistently. In addition to the Aces being a good defensive team statistically, they do in-game adjustments particularly well. They can unleash their in-your-face full-court pressure defense on one possession and switch to a 2-3 zone the next. Compton and his boys have a feel of when to use a specific defense – what’s working and what’s not working on their opponent. An exception to this of course were the Beermen, who were just too powerful offensively that all the adjustments that the Aces made were futile. Another quality that has made the Aces who they are is their ability to make a comeback and win games. 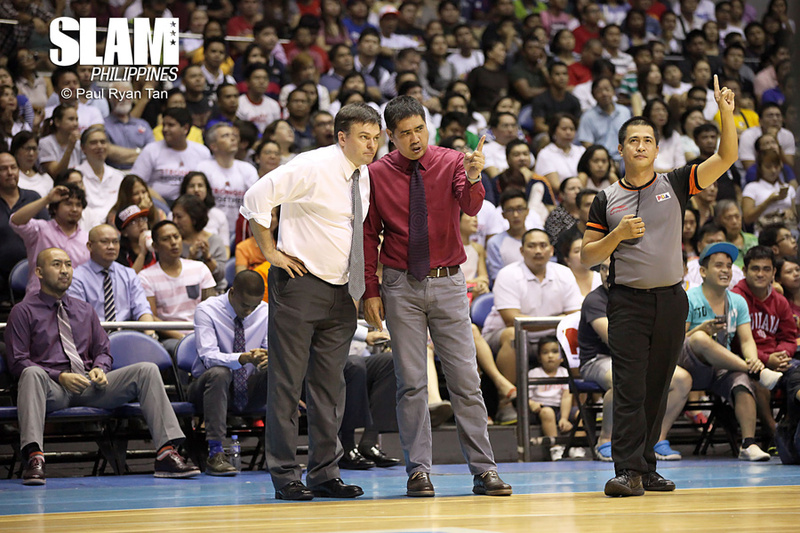 They’re the “Comeback Kings” and some fans even jokingly bestowed on them the #NeverSayDie mantra of Ginebra. Since the 2015 Philippine Cup, they’ve gotten a reputation that no lead is safe when they are around. They get back into games because of their defense and ability to make the right changes and adjustments. They also have a bench that works their tail off and plays as though they don’t look up at the scoreboard. They just play hard all throughout. It’s like Compton has his own Suicide Squad in the likes of Calvin Abueva, Chris Banchero, Rome Dela Rosa, and RJ Jazul. These guys can push the pace on offense and create havoc on defense. Once momentum shifts to the Aces, their comeback mission is on its way. With about three months of offseason ahead, I see their bench players continuing to improve. This means more confidence for guys like Banchero and Dela Rosa. Abueva can also fully develop himself as a leader. They can get a solid player through the draft – a rookie that can share their defensive philosophy and winning attitude. If they really want to shake things up, they can even make a trade or two. They were probably one player away from winning either the Philippine Cup or Governor’s Cup so they don’t need to do anything drastic. Moving forward in the offseason and even come next season, the Alaska Aces simply have to be who they are.